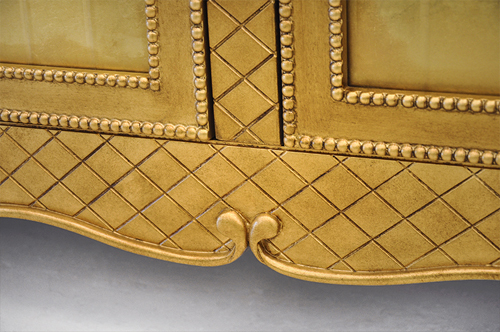 The detailing on the Geneve console cabinet is quite impressive on this piece as it is delicately and intricately hand carved. 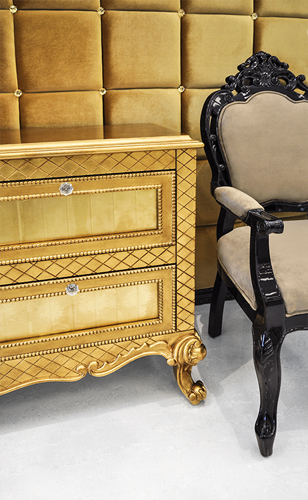 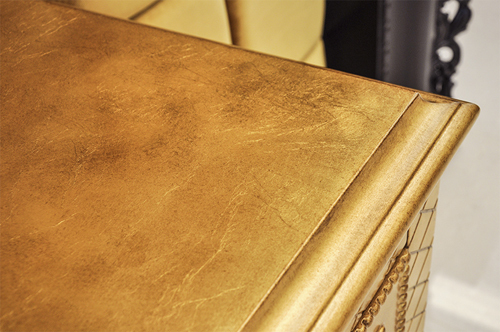 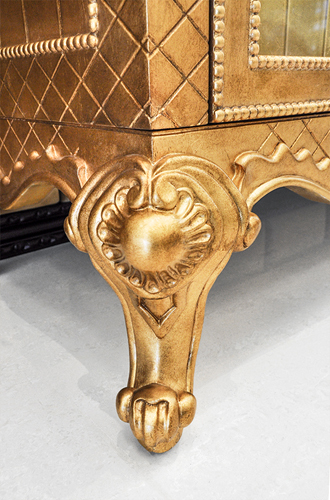 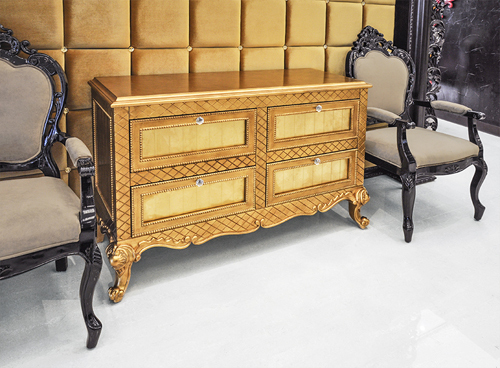 This solid Birch wood constructed piece is hand painted with gold leafing offering a chic sophisticated finish. 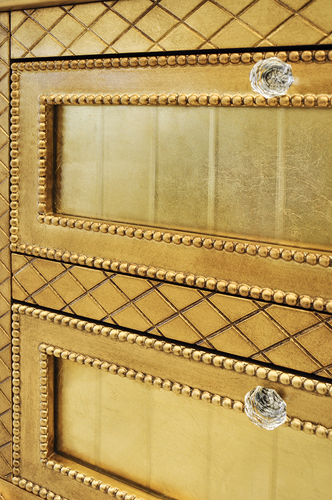 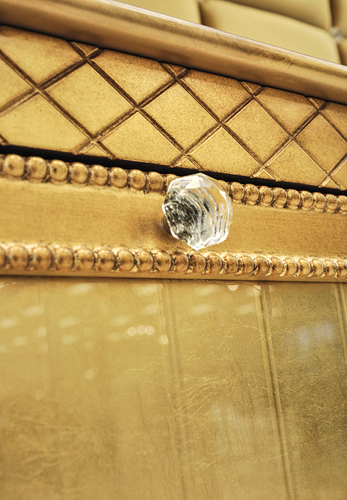 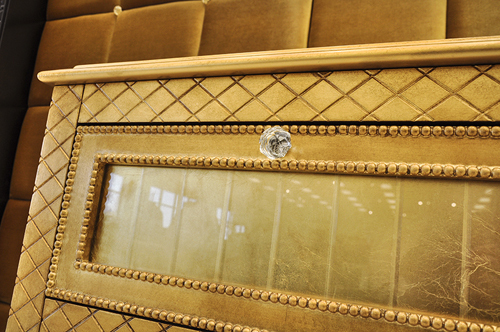 The Geneve hall cabinet will look beautiful in any space, residential or commercial. 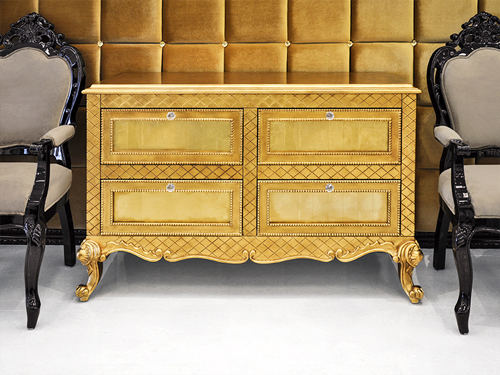 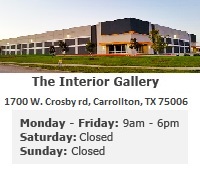 Use it for your bedroom, living room, hallway or your home office. 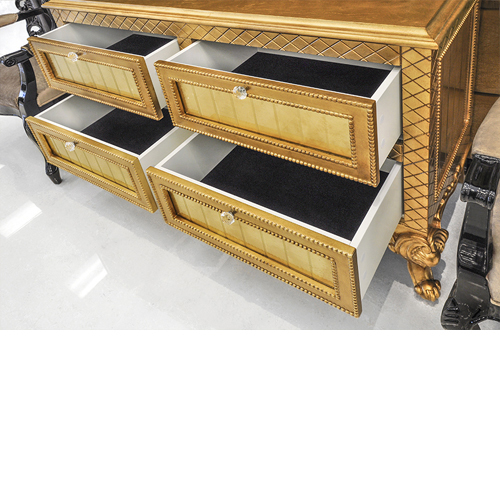 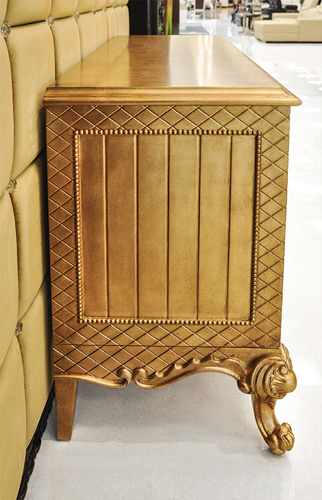 The Neo-Classical style of the Geneve console cabinet will compliment any traditional or modern styled room.